Thanks for having me. First of all, if you are thinking of publishing a book, or if you have already published a book and you aren’t getting good sales or have gotten some bad reviews, you may want to consider hiring a professional book designer. The tendency today in independent publishing, self-publishing, is to do it yourself, and that’s, for lack of a better term, a crap-shoot. You are going to be in the wild wild west of not knowing what you want to do, not meeting the printer’s specifications, and just not having a very professional design. I think that if you’re serious about publishing your book… This is a business. Independent publishing, or self-publishing, is a business. You’ve got to treat it that way. To do that, you’ve got to hire professionals. I would say, first and foremost, for authors who design their own books, or want to, take a hard look at your skills, and be honest, and step back a little bit because you really do need to be very objective about your goals. It’s a profession, and you get what you pay for in this industry, so you really do need to hire a professional. 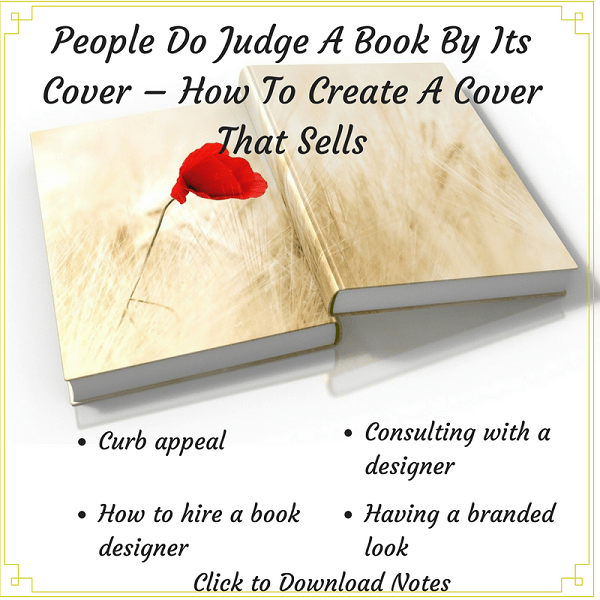 Do people really judge a book by its cover? Absolutely, and in fact, it’s the gateway to your book. Research shows that we have less than 10 seconds before a potential buyer makes a decision on a book cover Click To TweetIt’s a subjective thing, but it’s something that makes them want to go to a bookshelf, pick it up, and look at the back, or click on the thumbnail at Amazon to see what the “Look Inside” feature is. So you’ve got a very, very short timespan to really capture someone’s attention, no matter what the genre. If anyone needs to contact me, you can do so at NZGraphics.com. I’m always happy to consult with anyone about their books. I live and breathe “book design,” so I’m happy to talk to anyone about book design. My website contains a virtual portfolio of my work. My authors and clients have gotten over 100 international and national book awards over the last 20 years, so I’m kind of backed into this business as a graphic designer. I’ve learned my way through a lot of errors and mistakes, but it’s an exciting industry to be in. I wish a lot of authors the best of luck with their endeavors in this. First, I tried to download the pdf’s for the episode. It kept telling me my address was in the wrong format. Second, I expected a session on how to make book overs, but only got, “Hire a professional.” This is nonsense.